The DM4500F panel mounted display accepts various types of pulse and frequency sensors to display Rate, Totalise, Flow, RPM and Pulse Count, enabling the DM4500F to be used in a variety of applications. 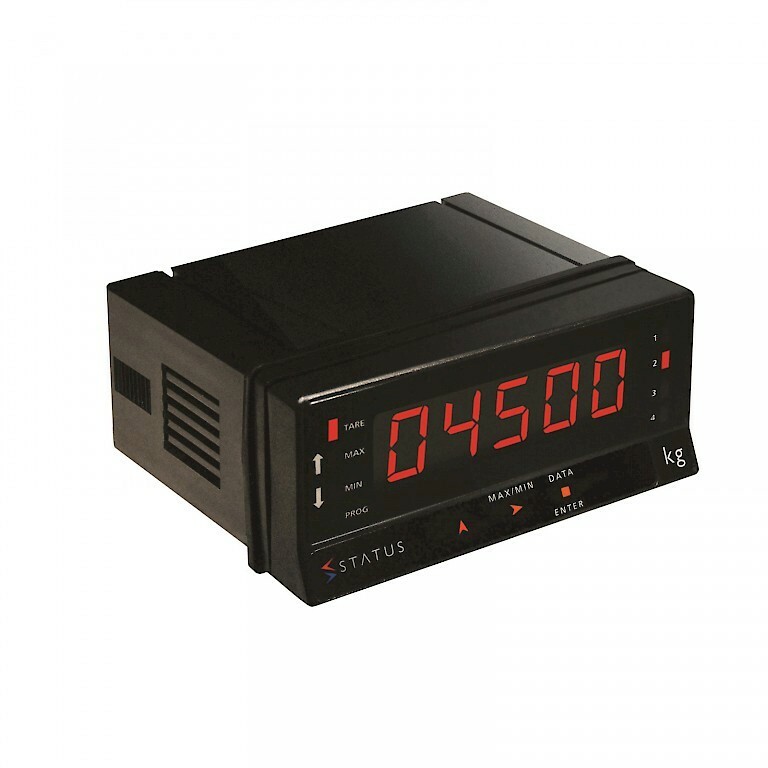 The 4500F display can be used as a tachometer or totalizer with up to 8 digits on the display, or as a frequency meter or a pulse counter. The display can be programmed to read in three different colour options which are red, green and orange. The colours are fully programmable and can be set for an alarm state, normal running conditions or high/low scale. There are two levels of brightness available. The 4500F display will accept an input from a magnetic pickup, as well as transistor NPN or PNP input and input from Namur sensors or contact closure sensors. Output options are provided that include NPN / PNP, 2 or 4 relays, current (4 - 20 mA) / voltage (0 - 10 VDC) and RS485 comms. The unit can be fully programmed from the front panel buttons or via the RS485 comms option, the display is designed for 92mm x 45mm panel cut outs. Low or high voltage power supply options are available with either offering both an AC and DC input. Please check the specification sheet on the product page for full details. The DM4500F is manufactured by Status Instruments, we also have a complete range of process displays and thermometers with local display.